PORTLAND, Ore. – Portland may finally be on the verge of getting its first Major League Baseball team now that the Portland Diamond Project is leading the charge for a new stadium site in the city. 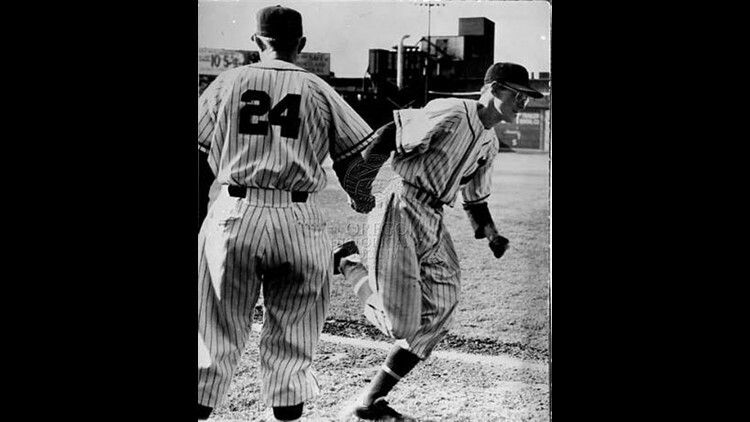 Even though Portland hasn’t had a major league team, the city is steeped in baseball history. Baseball in Portland dates back to 1866, the Oregon Historical Society said. Since then, several amateur and pro teams have played ball in the city. 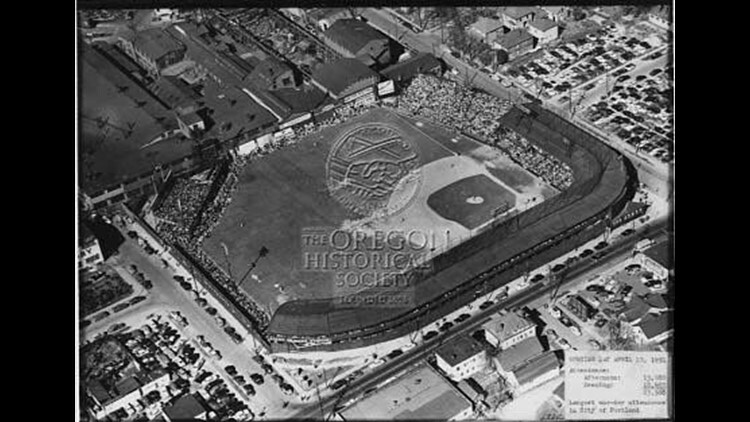 The Oregon Historical Society’s records confirm an exhaustive rundown of baseball in Portland on Wikipedia, and OHS historical photos give more insight into Portland’s baseball legacy. The teams, which changed names so often people sometimes couldn’t keep up, also offer some great possible monikers for Portland’s would-be MLB team. The Portland Webfoots, anyone? Portland’s first baseball club formed just 15 years after the city of Portland was incorporated. The Pioneer Baseball Club was comprised of a group of amateur male players and didn’t allow professional athletes. Soon after, a handful of similar clubs in the metro area were formed. Portland’s first pro team was started by Pioneers player Joe Buchtel, who named the new team the Willamettes in 1884 and changed it to the Webfeet in 1890. The Webfeet were part of the Northwest’s first professional league, called the Pacific Northwest League, and won the league championship in 1891. The league ended in 1892 in the midst of an economic depression. The league was resurrected for one season in 1896 and a new Portland team, the Portland Gladiators, won that league championship. A successful team of high school kids, called the Portland Monograms, beat teams in Oregon, Washington and participated in a regional tournament in California. Not to be confused with the Webfeet, the Portland Webfoots was the first Portland team to join the National Association of Professional Baseball Leagues in 1901, which would later become Minor League Baseball. 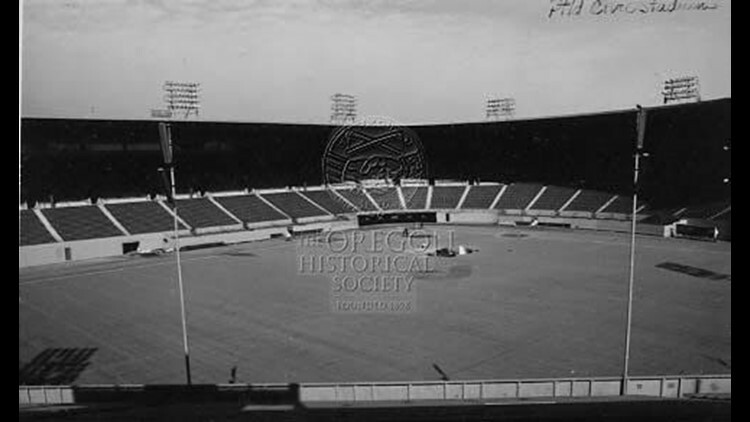 The Webfoots played in the Pacific Northwest League with a home field at a new baseball park at Northwest Vaughn Street and 24th Avenue, the current location of ESCO Corporation and one of the parcels of land the Portland Diamond Project is eyeing for a possible MLB stadium. 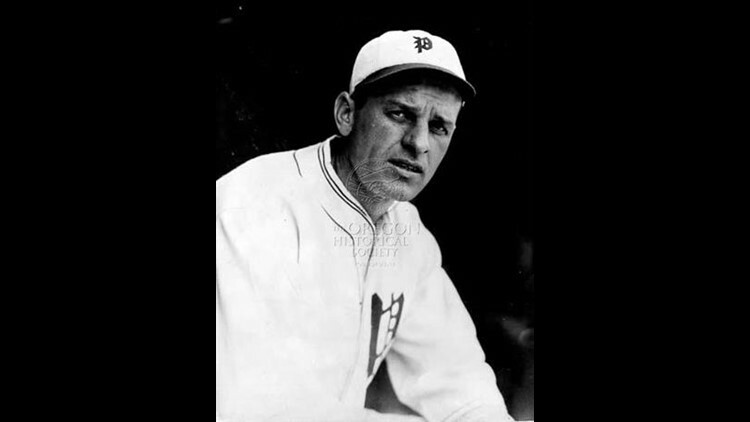 One of the Webfoots, Joe Tinker, went on to a career in the major leagues with the Chicago Cubs and Cincinnati Reds. The Portland Browns baseball team joined the new Pacific Coast League in 1903, which was one of the professional baseball leagues. They weren’t great. Unlike other Portland teams’ successful runs, the Portland Browns finished the 1903-04 season with a historic 74-136 losing record – the most losses in a Pacific Coast League season. Another competing Portland team played for a few months in 1903 before moving to Salt Lake City. The Green Gages were one of the last remaining teams in the Pacific Northwest League before it folded as the Pacific Coast League gained steam. The Browns were bought by a local family, who changed the name of the team to the Giants in 1905 and then the Beavers in 1906. The team won the Pacific Coast League pennant in 1906, 1910 and 1911. In 1912, a 12,000-seat stadium was built for the Beavers at the Vaughn Street location. In 1918, the team withdrew from the Pacific Coast League amid the start of World War I and changed its name to the Portland Buckaroos. The Portland Beavers re-entered the Pacific Coast League in 1919. In 1930 the Ducks became the Beavers – again – but people still kept calling them the Ducks off and on for about 10 years. They won the PCL pennant in 1932, 1936 and 1945. 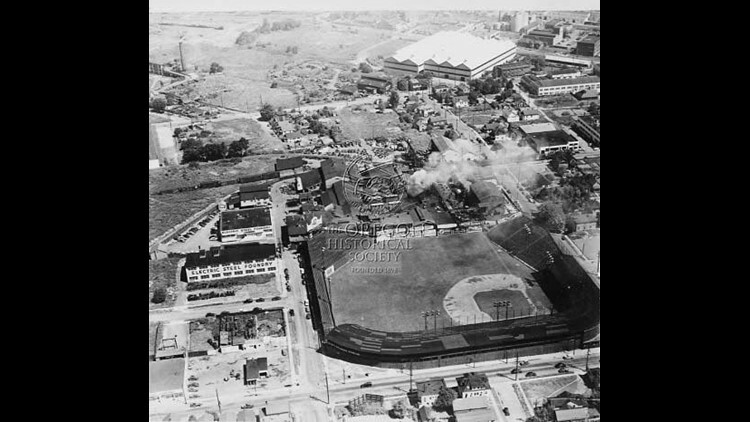 The Beavers moved from the Vaughn Street Park to the Multnomah Stadium (now Providence Park), which sat 25,000 people, and became the AAA affiliate for the Cleveland Indians. In 1972, amid declining interest, the Portland Beavers moved to Spokane. The Portland Beavers got their own farm team in 1911 in the Portland Pippins. The team changed its name to the Colts in 1912. In 1914, the Portland Colts moved to Seattle and were renamed the Ballard Pippins. The Portland Mavericks, a Class A team, replaced the Beavers and played for five summers in the Northwest League. In 1978, the Pacific Coast League added a new team to the roster and named them – again – The Beavers. The new version of the Portland Beavers played at what was then called Civic Stadium (now Providence Park) until 1992. The new Beavers won the PCL pennant in 1983. In 1993, the new Beavers moved to Salt Lake City and became the Salt Lake Buzz. In 1995, Bend’s Class A Rockies moved to Portland and played for six seasons before moving to Pasco, Wash. and becoming the Dust Devils. By this time, you shouldn’t be surprised that a new team was brought to Portland and again named the Beavers. This time, the Albuquerque Dukes AAA team moved to Portland and was renamed – what else? – the Beavers, and played in the same stadium as the old Beavers. The park, though, got a new name – PGE Park. The new Beavers, now owned by current Timbers owner Merritt Paulson, held a vote to change the team’s name because of the Oregon State University Beavers confusion. The winner: The Portland Beavers. Go figure. But Major League Soccer threw a wrench in the latest iteration of Portland’s Beavers baseball team. When the Portland Timbers came to town, they kicked the Beavers out of PGE Park. A new park was supposed to be built by 2011, but that still hasn’t come to fruition. In 2010, the Portland Beavers played their last game at PGE Park. In 2012, the Yakima Bears moved to the metro area as the Hillsboro Hops. They don’t play in Portland, but the minor league team still draws big crowds of baseball fans every summer. Still, Portland is waiting for the return of baseball – and, possibly, its first MLB team. The Portland Diamond Project’s efforts are the most promising thus far in the effort to revive baseball in a town steeped in baseball history.